King Scallop and the Oysterettes came about through a series of open jams sponsored by Rothman's Guitars of Southold. 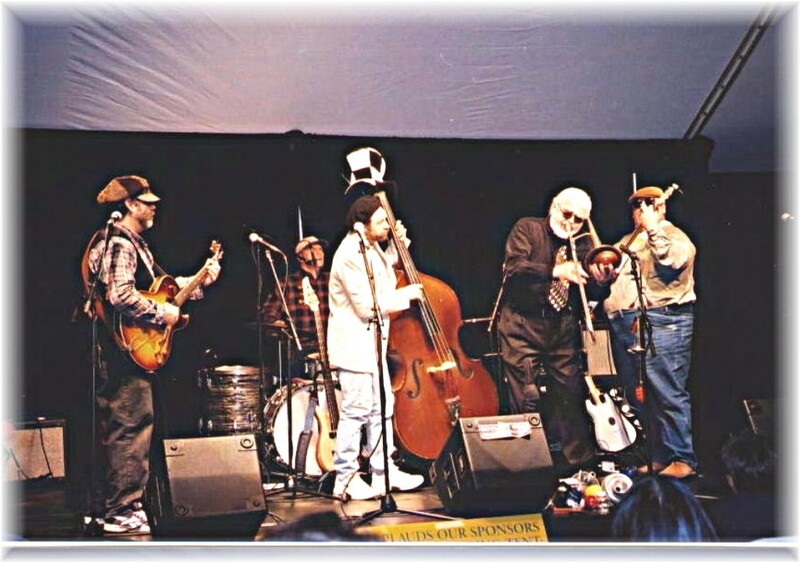 It incorporates Folk, Jazz and Blues to Bluegrass in their performance. We are comprised of Ron Rothman on Guitar and vocals and Kim Tetrault on Upright Bass and Electric bass, Jim Ruhf on drums, Joe Sferlazza on guitar, and most recently been featuring Bob Hovey on the trombone. APPEARING: July 30, 2008 Silversmiths Corner, Southold, NY 7:30-9PM. Returning, once again, to be a part of Southold's Summer Concert Series. By incorporating the different styles of music into our performance, we have developed a unique sound that blends these different styles. We use the music of Monk, Mingus and other contemporary Jazz greats and mix it with the traditional folk and blues to give a sound that both swings and rocks, with a folk feel. We have performed at Local clubs , been featured during Greenport's First Night Celebration, and been involved with promoting a series of Free Sunset Beach Concerts at area Beaches.